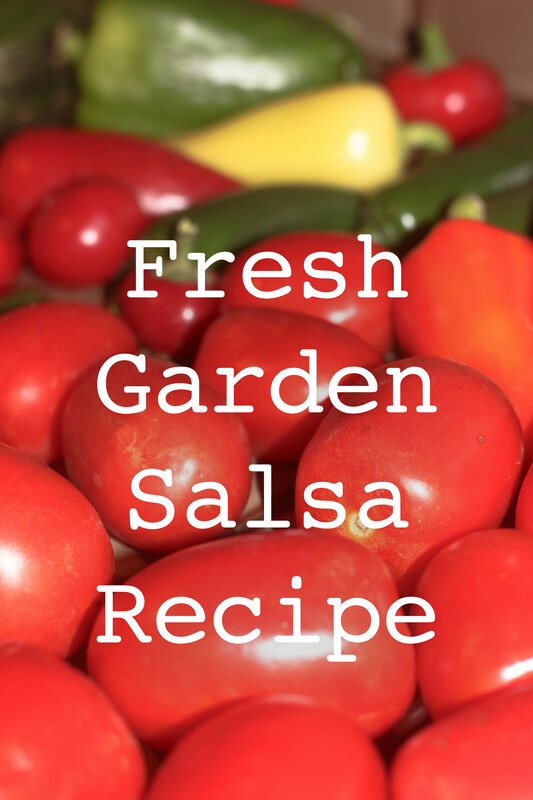 Here in Michigan, when the tomatoes get ripe nothing is better than some fresh salsa and homemade tortilla chips. I even make extra to freeze as it doesn’t last long in our home. We add it to chili, eggs and everything in between. I start by peeling my tomatoes by boiling them in water for 1 minute or when I start to see the skins crack and then place them in to bowl of ice water. Next decore and peel. I did this the night before and finished my salsa the next day. I used a variety of peppers we picked at the farm stand. We like our salsa spicy, but you can mix and match these peppers to your spice liking, sticking with a milder ones, if you don’t like the extra kick. I cored and seeded them and then tossed them into my food processor with tomatoes, onions, cilantro, lime juice, cumin, garlic and cilantro and that’s it. Bam! Taste test adjust accordingly. I froze my extras in mason jars since this is such a large batch leaving plenty of head space (about 2 inches) to allow to expand. Enjoy! Next up Homemade tortilla chips. Place all ingredients in a blender or food processor and pulse until chunky. This is a Large Recipe and may need to done in batches. taste and adjust. Refrigerate for at least an hour to allow flavors to mend. Freeze in mason jars with plenty of head space to allow to expand, I leave at least 2 inches.